Building Your Dream Team breaks down the fundamental members of an artist's operation through the 5Ws lens: Who, What, When, Where, Why. Thanks to a rare breed of sonic explorers, the music world keeps spinning forward, evolving off the strength of flipped samples, towering choirs, and clever drum programming. Some know Bach like the back of their hand, others have no clue who tf that is. Either way, music producers help craft the songs that soundtrack our lives. This Dream Team piece spotlights everything they do to help artists find their stride. A music producer adds value in 101 different ways. Some might oversee entire projects. Others might get called in to add finishing touches, or a lead synth melody. Whether they’re encouraging moonshot thoughts, working with artists to minimize bad habits, or sending beats from 3000 miles away, most of the great ones tend to bring some mix of these traits to the table. Appetite for Feedback Criticism can be a tough pill to swallow, but constructive opinions often help music fulfill its main goal: strike a chord in listeners. The producer’s goal is help the artist achieve that. Feedback helps everyone involved grow and build better working relationships. Semi-Organized Mind Producers range from technical tinkerers to mad geniuses. That said, it’s good to keep track of the chaos. Messiness and creativity often do go hand in hand, cliches aside, but sometimes scatteredness is detrimental. Properly exported and labeled stems save everyone time in collaborative projects. 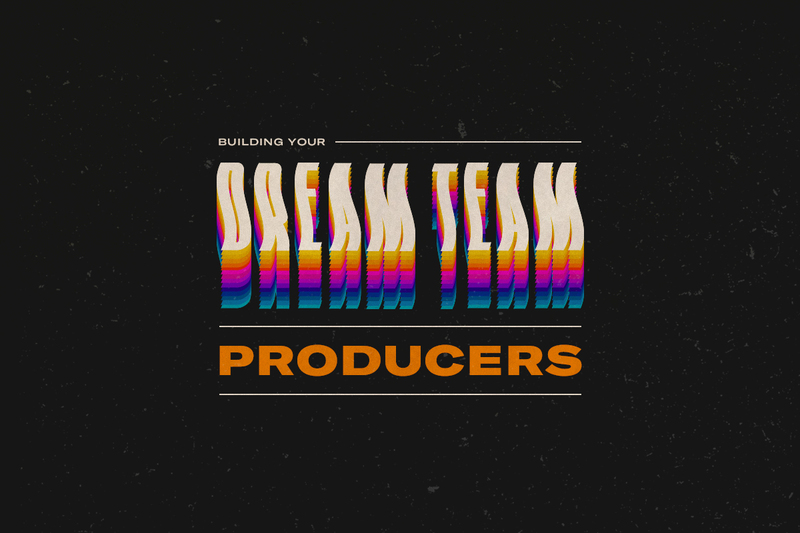 Highly Empathetic Every artist / music producer team is different, but the best writing and most compelling performances tend to come when producers can connect with whoever they’re working with as people. Open conversations often yield the best musical output. Unsatiated Curiosity Whether it’s digging through crates of old music to find new inspiration, or exploring different ways to use an instrument, a desire to learn unlocks new options and musical directions that help differentiate songs from everything else out there. Exhibit A: FINNEAS' work with his sister Billie Eilish. These traits can present themselves in myriad ways across genres and regions. In Country, many of the most prominent producers are Nashville-based musicians with years of experience navigating a different side of the business. (Jeff Stevens spent years as a singer-songwriter himself before becoming Luke Bryans’ go to producer). In Hip-Hop, seasoned veterans like No I.D. coexist alongside newcomers firing off memorable beats from their laptop. 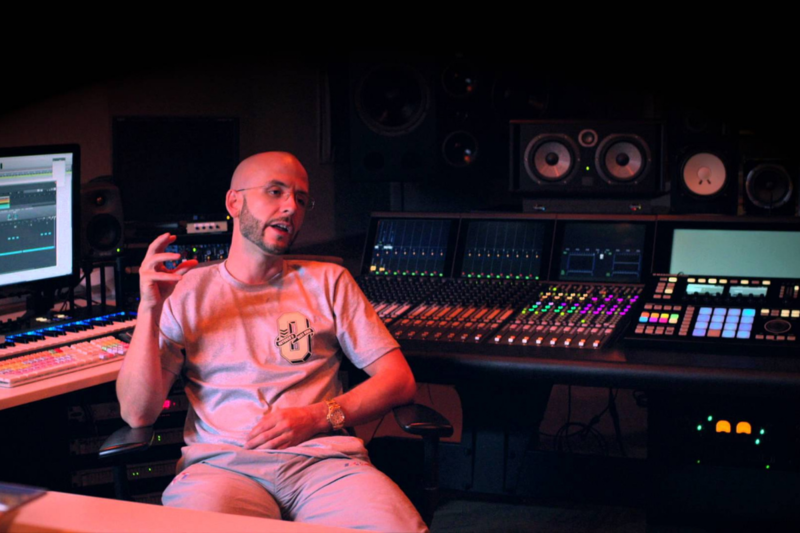 Many of the best teams have at least one dedicated producer to help craft the artist’s sound. Quite a bit. A music producer can wear many hats in the song-making process. Ultimately, though, they are responsible for helping an artist or a song reach their full creative and/or commercial potential. 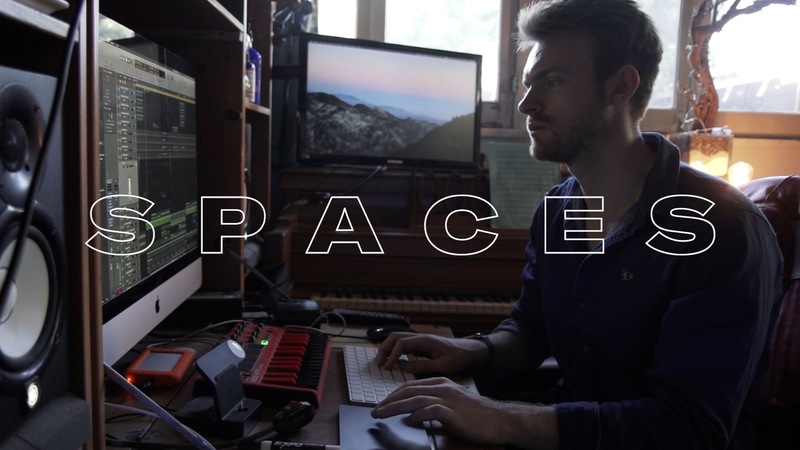 This can include composing musical pieces themselves, arranging instrumentalists, playing live, offering direction to other creators, engineering recording sessions, or mining archives for samples to repurpose. In this hip-hop-dominated era, the most common type of music producer might just be the beat maker. These spiritual successors to the DJs of the ‘70s and ‘80s — who created tracks using turntables, drum machines and samplers — craft worlds of sound with computer software aka Digital Audio Workstations (DAWs). Easily purchased (and torrented, tbh, but we didn’t say that), programs like Fruity Loops, Logic and Ableton leveled access to production to the point where anybody with a creative mind and a hunger to learn can try their hand. Some producers also double as engineers, handling not just music creation but audio quality, too. This might range from tracking live instruments or artist vocals to ensuring a pristine (or intentionally raw) recording to mixing a song’s elements together. At the most basic stage, getting the volume levels of the tracks balanced is often one of the most important (and undervalued) part to an engineers job, and one every producer should be familiar with. Then there’s the abstract reality of a producer’s role. Artists often have more thoughts in their heads than they know what to do with. Producers help sort through all the different demos, ideas, and rough takes to find the most compelling options. This crucial step — becoming a trustworthy sounding board for an artist or songwriter — tends to allow the best songs to take shape. For this reason, empathy is an incredibly powerful, often overlooked asset in the producer toolbox. Connecting with an artist, human to human, and understanding how to help put them in the best headspace, can be more valuable than any melody or rhythm. While it’s ultimately always up to the artist to decide when they need one, it’s worth taking note of this simple fact: at least 98% of the “Top 100 Billboard Songs of All Time” enlisted the support of an outside producer. Like anyone else involved in music’s creation, producers are compensated for their time and effort. This might mean splits — the right to a % of revenue generated by the master (the sound recording, e.g. Spotify streams, or Amazon downloads) or the composition (the lyrics and melody, e.g. mechanical royalties) -- depending on how much they participated in the writing process). It might also mean a one-time flat rate (work for hire) to cover any contributions make to the music. As producers become more and more renowned, they can command higher fees and splits. Sound Recording: Producers tend to receive a small percentage of revenue on major releases, though it’s becoming increasingly common for developing artists to split the master with producers, especially in lieu of an upfront fee. Composition: When a music producer contributes to the song writing process they will generally receive a share of the publishing rights and revenue relative to how much they have contributed. Ideally, producers receive an upfront fee and splits, though younger teams on the rise tend to solely rely on splits and put music before money. Beat sales and beat leases (e.g. letting multiple artists use the same production) are also common on YouTube, SoundCloud, and producer forums. Many producers get their start working for free with a friend they believe in. Many producers post snippets of their work on IG, Twitter, Snapchat, Weibo, and whatever else you can think of. Scouring the timelines and comments of your favorite artists on the rise will lead you to lots of producers. (If you look at who they follow, you’ll find 100s more.) A thoughtful DM opens doors. SoundCloud and YouTube both feature vast, deep collections of beats from different producers. Much like artists themselves, many producers get their start uploading remixes to their favorite songs to supplement their own beat tapes. IRL concerts, album listenings, music panels, and anywhere else creative people congregate — sitting in on other artists studio sessions will almost always lead to some great connections. Forums like futureproducers.com and gearslutz.com, and even more general music forums like kanyetothe.com provide spaces for like minded individuals to ask questions and share techniques. 9/10 times they’ll include a subforum to share original music. Artists and songwriters are smart, talented, soulful people with a vision to follow. They’re often also specialists lacking every skill necessary to bring that vision to fruition at the highest level possible. (Even the most gifted artist-producers sometimes benefit from collaboration behind the boards.) It’s a producer’s job to work hand-in-hand to translate “what if we do this” ideas and “sounds like sunset” metaphors into practical, tactical sounds. It’s all about using knowledge, intuition, and whatever’s available — software, instruments, garbage cans, stomping feet — to fill in the blanks. In some genres, it’s become increasingly standard for songs to begin with a producer, laying the foundation for vocalists and lyricists to write, riff, freestyle, and offer feedback. From first formations through final release, a million and one things can go down, be that tight-lipped writing camps for big pop stars to one-on-one back-and-forths between an artist and their right-hand. 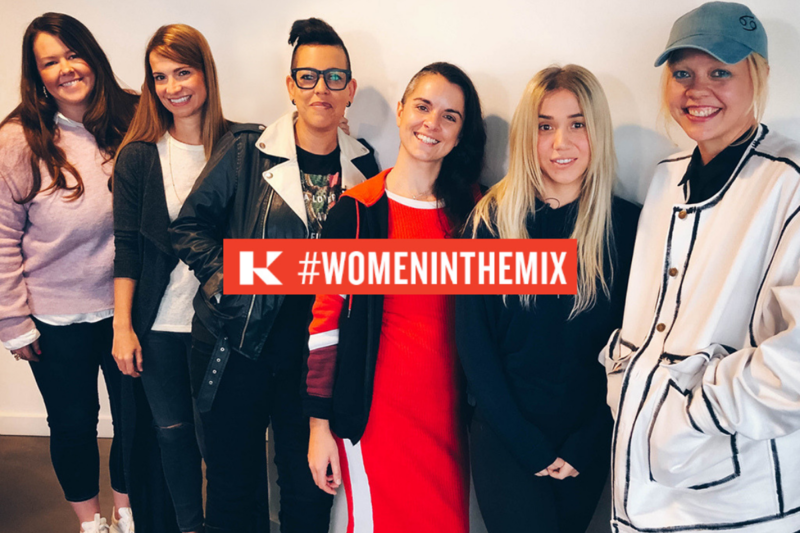 Many of the world’s biggest creators cite relationships with specific producers as a big factor in their success — think Drake and Noah “40” Shebib, Playboi Carti and Pi’erre Bourne, Amy Winehouse and Mark Ronson. There are also rare cases, like Desiigner’s “Panda,” which went quadruple-Platinum and originated on a beats-for-sale website. However you do it, the best-case outcome tends to be the same: an identifiable, standout song that clearly belongs to you and strikes a chord with listeners around the world. If artist teams operate like businesses, producers — true to their name — help shape the product that supports everything else.